At Echo Beach House, you are invited to choose fresh seafood from the bar. 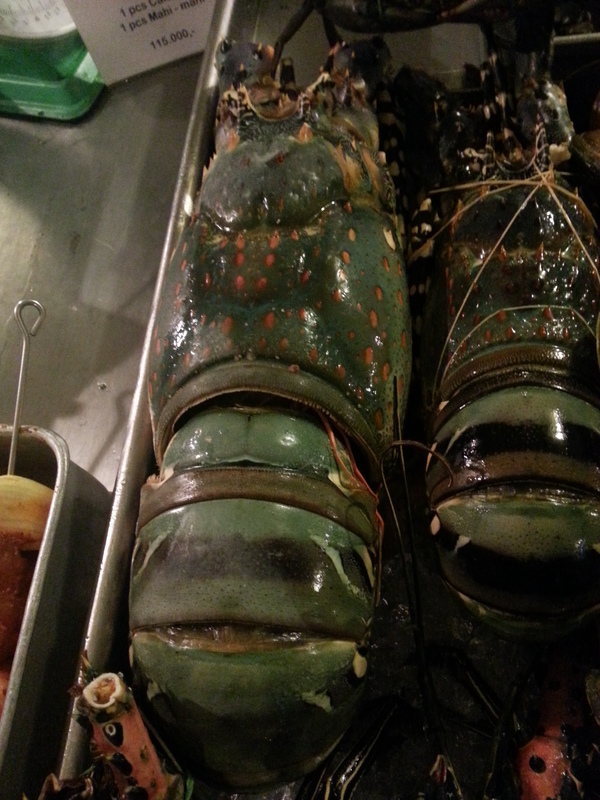 We saw one of the biggest lobsters we’ve ever seen (but this was not locally sourced) and got tempted. But this time we used our heads, not our bellies (! ), and decided a Set for Two (RP150,000) would be the wiser choice. I know, I know, we’re all grown up now. This plate looks messy, but it sure was tasty; there’s really no time for dressing up plates when you’ve got this standard of fresh seafood waiting to be delivered. 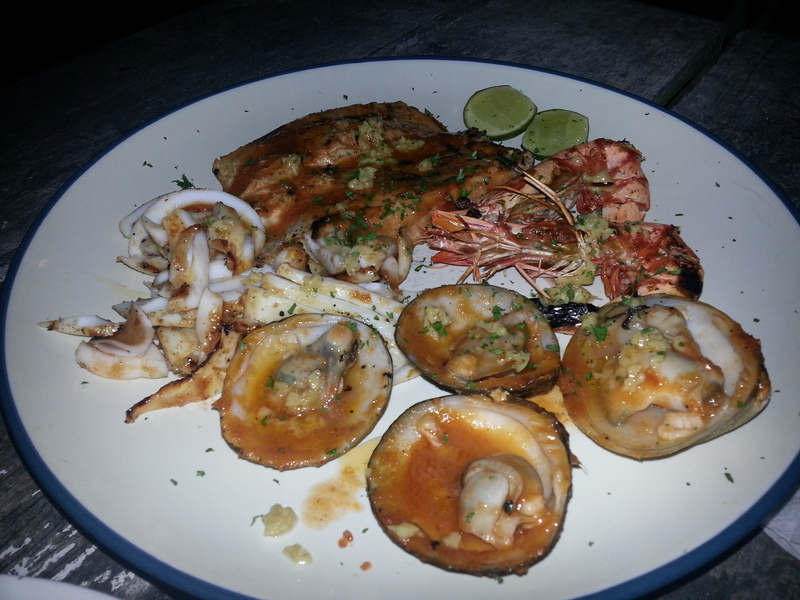 The Set included 4 clams, squid, mahi-mahi, and prawns. Most of the seafood was grilled with loads of butter and garlic (you can’t go wrong with this combo, ever) and the tuna proved deliciously tender. We squeezed lime over the butter and garlic drenched shells and flesh, giving a nice, necessary punch of citrus. You’re entitled to the “salad bar” buffet if you order from the seafood bar, so we definitely got our fill of rice/bread/salad, and most importantly: the sambals! We overloaded with lemongrass sambal, which admittedly wasn’t too spicy, but the little bits of lemongrass were so addictive and went well with our clams. 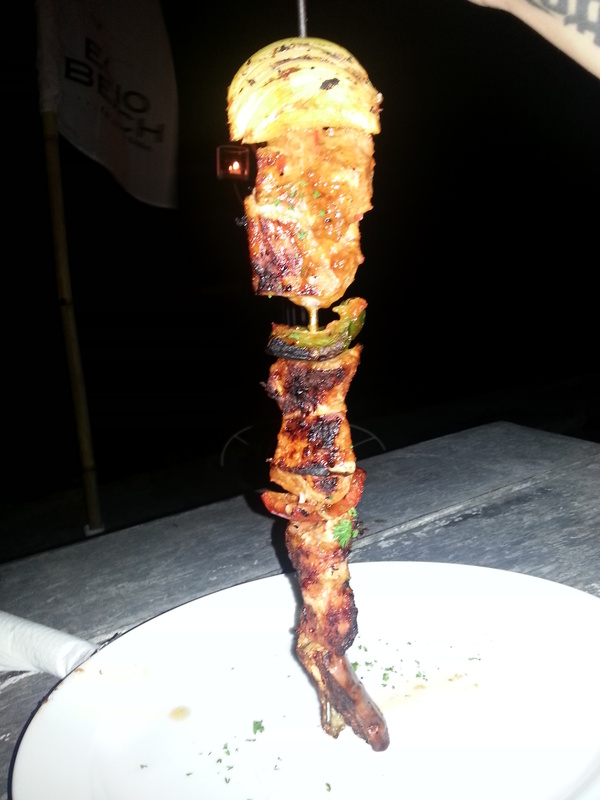 We also saw one of these pork skewers on the grill bar. I can’t recall how much this was – maybe RP50,000 for a large rod – but it was a incredibly juicy and well-seasoned with a little curry seasoning. 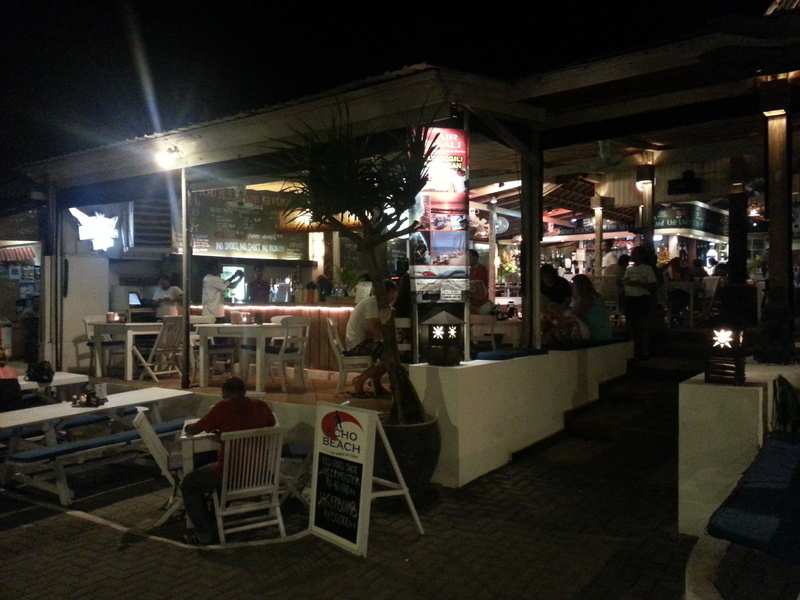 Surprisingly, we were pretty full after just two dishes, so we had a few more cocktails overlooking the sea and clear night skies before we hitched a ride home. Echo Beach House has won the Certificate of Excellence in 2013 from Trip Advisor. It is a worthwhile trip to make while in Bali and would be a great spot to be at for sunset. In all, highly recommended. But! 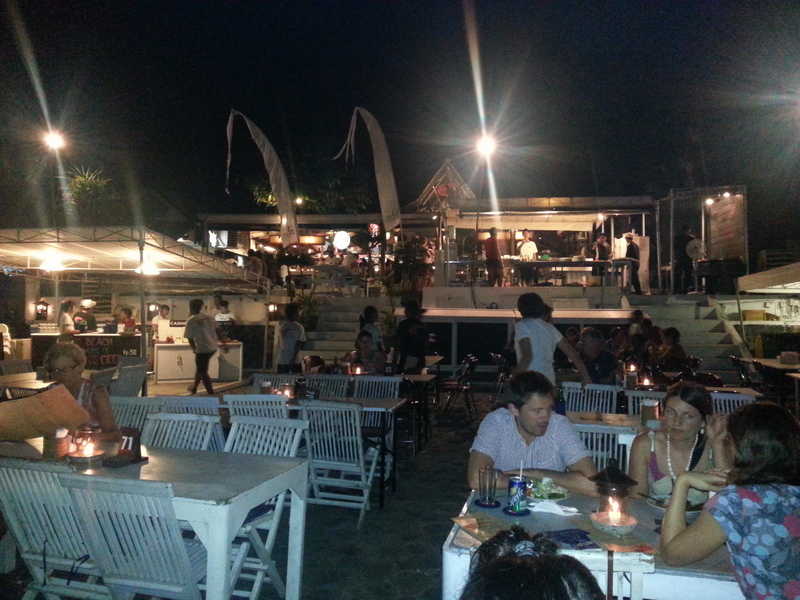 If you’re staying in Seminyak, the best seafood we had was only a 5 minute ride from our hotel. Indeed, on Jalan Petitenget sits a quaint little warung, with a makeshift barbecue by the road, seducing you in with the most delicious aroma of garlic and grilled fish. For a three-day trip, we had to come here at least twice, no doubt about it. Warung Eny is a star. Yet another winner of the Trip Advisor Certificate of Excellence 2013, dinner service is of course a crowded state of affairs – so either get here early or for a late dinner if you don’t want to be hanging around roadside. The grilling is all done outside on the small, hot, box-like construction, imitating one’s standard grill at home, but with some fragrant wood chips burning underneath that just adds this completely gratifying smokey flavour to the fish. 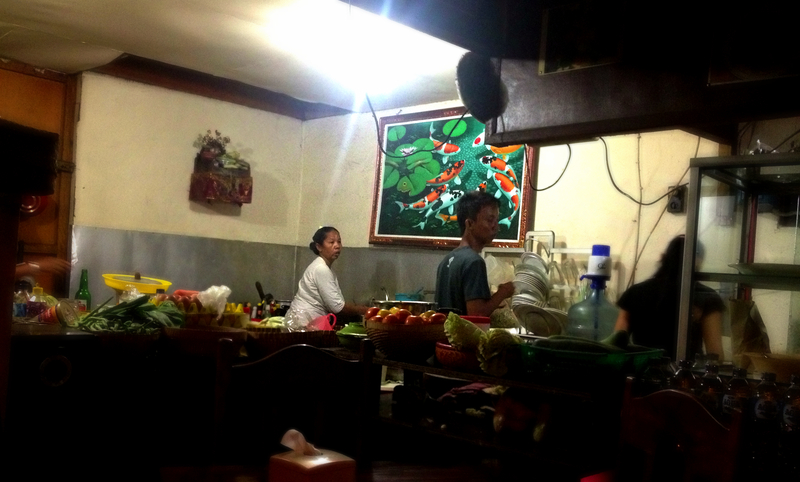 The rest of the cooking is done in the very basic kitchen – rice dishes, sambal, and vegetables, mostly – but best not to underestimate the cooks in here just cos they’re not manning the grill. 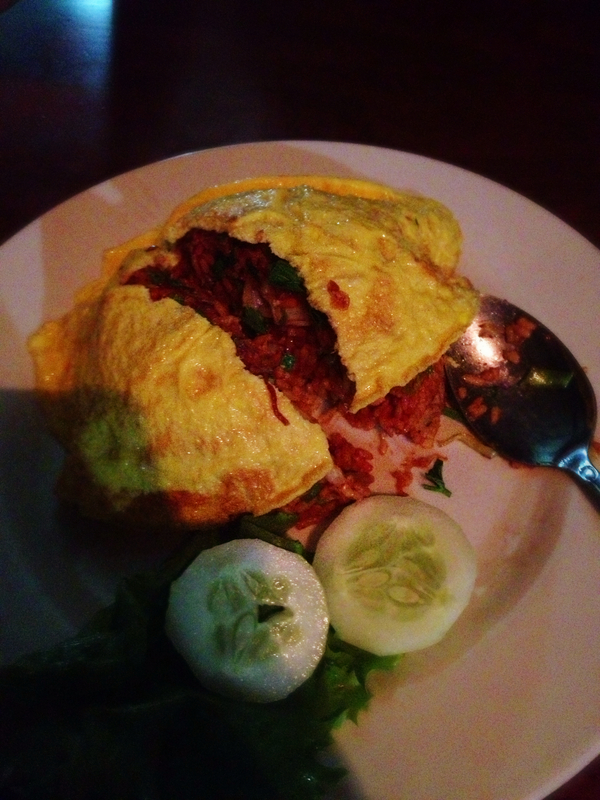 The Nasi Goreng was nicely seasoned, verging on a little too tart for me, and blanketed by a little omelette. Andrew was a fan, but when plain rice and veggies – we had morning glory/tung choi – is added with your grill options, it doesn’t seem worth ordering this. The vegetables were a mouth-watering ordeal as well, given just as much love as your grilled seafood; buttery, garlicky and with just enough crunch, I was way too happy. And then the seafood came. I almost exploded from garlic ecstasy. 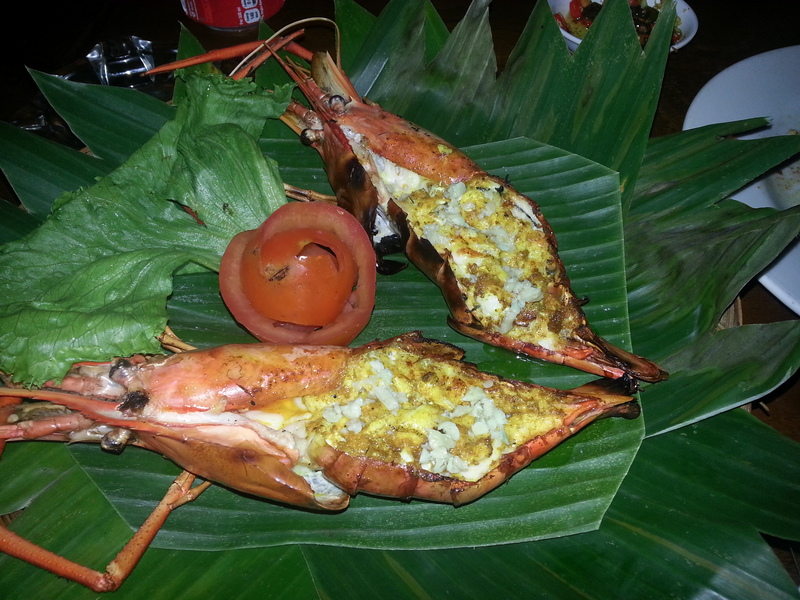 The tiger prawns were huge! 2 is more than enough for 2 people, trust. These were clamped between two iron bars and grilled with garlic and butter. Full of sweet, succulent flesh, the grill man knew wagwan. The star of the evening was definitely the grilled snapper. If you go for the biggest option, at RP150,000, you are signing yourself off to a food coma for the rest of the night. 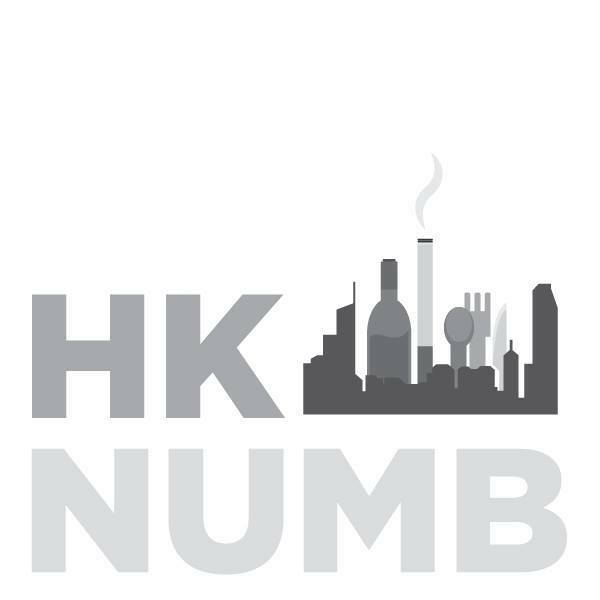 This is probably for the benefit of the general public too, as you don’t want to be hanging around the Bali nightlife with all that garlic breath. But damn. The lime, the butter and the garlic. A simple combination that does wonders to the fresh snapper. I can’t really imagine having grilled seafood any other way now. This is it; this is all you need, everything else is superfluous. On our second trip to Warung Eny, there was no time for taking photos; our mouths were watering as soon as we ordered the snapper – yes, again – ready for another night in food coma paradise. We also tried the satay – 10 pieces of pork and chicken – seeing as we were in Indonesia and had yet to try an authentic satay peanut sauce. Put simply: it didn’t disappoint. Part III on cat poo poo soon! Thanks so much for your comment. I hope you have an amazing honeymoon – where are you staying? 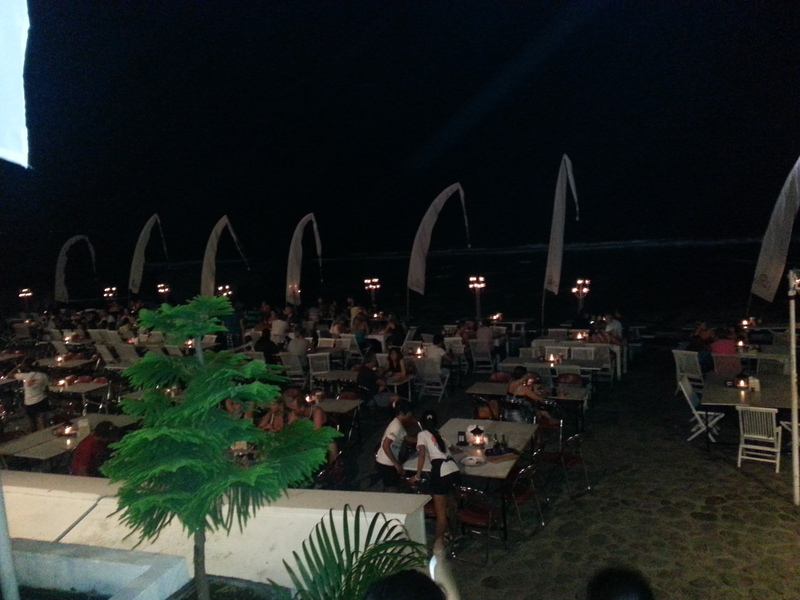 We were at one of the new hotels in Seminyak, called U Paasha. It had an amazing rooftop pool and the best mojitos so we were pretty close to paradise. Sambal is pretty much any chili-based sauce. My favourite was the lemongrass sambal, which was much milder than the green chili and red chili variants, but so delicious. I had to put it on everything! Nasi Goreng actually means fried rice, if I’m not mistaken, so I wouldn’t be surprised if there were many different types. 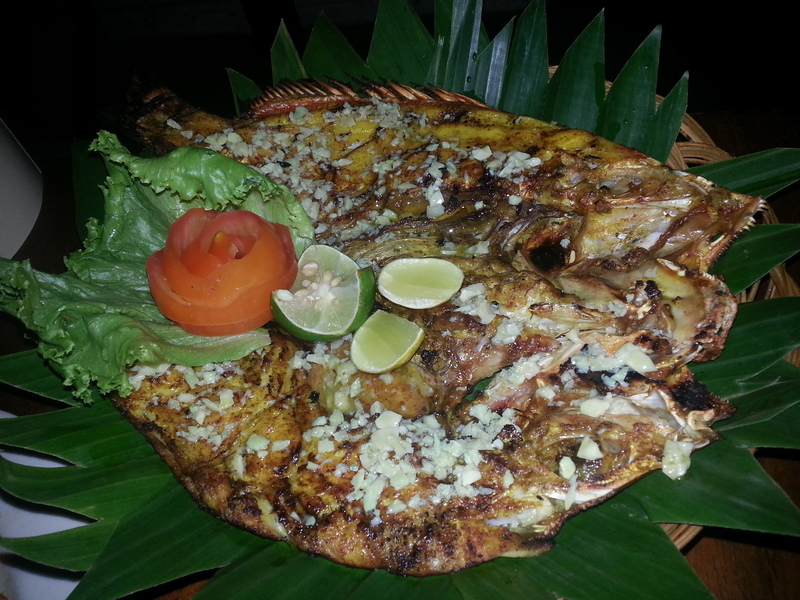 If you are in Seminyak, please do try and find Warung Eny’s for THE best grilled snapper. Let me know if you do make it there, I’d love to hear what you think. All the best, and have a GREAT one!